As it promised earlier this spring, streaming speaker pioneer Sonos released refreshed versions of its controller app for iOS and Android. But there’s a very cool feature in this finished version that wasn’t around when TechHive had some hands-on time with an earlier version of the app. 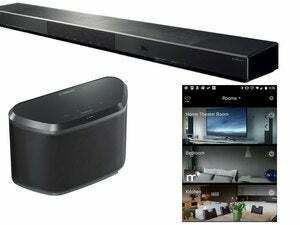 Version 5.0 of the Sonos Controller app lets home theater users with 5.0- or 5.1-channel systems direct their surround speakers to play stereo sound, as opposed to the background sounds usually assigned to these speakers. Sonos says that it added this feature during the beta process. 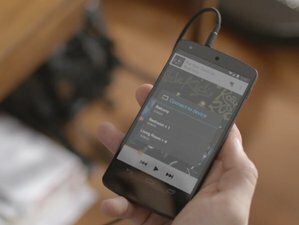 It’s the new Universal Search capability that highlights this update to Controller, though; pick a song, and Sonos will search your own library and across all of your enabled streaming music services at once. Previously, you could only search one service at a time. Sonos has also made the app’s interface to be more in line with current smartphone layouts; album art takes a more prominent place in the new app. 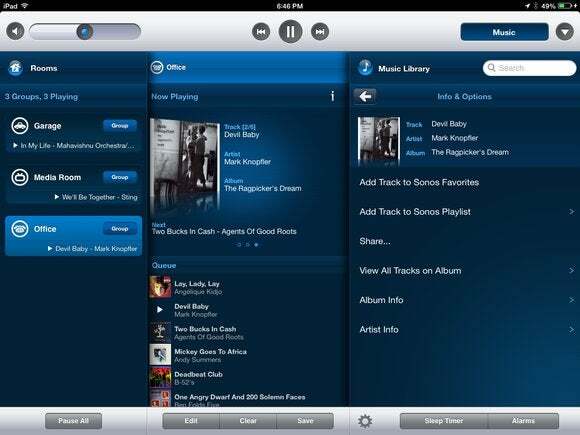 Sonos Controller requires Android 2.1 or later or iOS 6 or later.